Our #2 All-Time Best Selling Product! Every morning Nate holds up his chrome knuckles and looks at his distorted reflection. He always keeps both shiny - his chrome knuckles and the image he sees staring back at him. It reminds him that today may be his last and that there are no second chances when you're on the streets. He picks up his wallet and money clip and slips them into one pocket. In the other pocket he deposits keys and a lighter. Finally, he puts his Original Chrome Knuckles™ in a very special place. Everyone knows Nate, he knows everyone. When anyone has a problem they turn to Nate. What makes Nate so respected? It couldn't just be the shine he keeps on his chrome..........or could it? Approx. Dimensions: 4.5 in across, .5 in thick, 2.5 in high, finger holes 1 inch diameter. Fits medium to large size hands. NOTICE: We do not ship any knuckles to the city of Chicago. If you provide a Chicago shipping address your order will be canceled. Do these come as a pair of two? Our knuckles are sold individually not as a pair of two. Is This A Belt Buckle? No. These are authentic solid brass knuckles. There is no screw hole and stud that you see on novelty "buckle" paperweights. Our product is real. Double Lifetime Guarantee: We will replace your brass knuckles just like Craftsman used to replace your wrenches. It doesn't matter if the damage was your fault or not. Just send us the broken pieces and we'll send you a replacement. We are that confident that these knuckles are built to last. Bought these Chrome knuckles a couple months ago. They legit well done, you can see your reflection on them. The structure is well done. I have a set of these, now thanks to the BRASSKNUCKLESCOMPANY. I will most definitely buy more. Pleasantly surprised at the quality of these chrome knuckles. They have substantial weight, they are finished in a nice, smooth way, and they fit my hand like a glove.These are "stoppers". They can end any dispute in your favor, and they are nice to have if you are out numbered. They will even the odds. 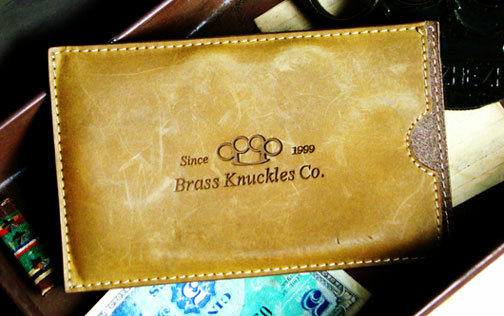 Thanks to the Brass Knuckles Co. for a quality product. Just got my classic chrome knuckles. Very happy with my purchase, I wall absolutely be buying more items from this company. Site is legit, they don't f*** around. I am going to buy more.